If you're a birder, it doesn't get any better than this: a professionally guided tour of the Bent of River Audobon Preserve in Southbury on peak weekend for bird migration. How good is the bird watching? Take a look at the list of birds sighted during last year's walk. Rain or shine, it is always a beautiful morning The Bent. This event is FREE, but please RSVP in advance. Learn more and RSVP today. We are fortunate to welcome Mike Reiss, AB '81 as the guest speaker at the club's Annual Dinner on June 6 at Choate. If you've ever enjoyed an episode of The Simpsons then you can thank Mike. As the longest tenured writer on the longest running scripted show in television history, Mike has a few stories to tell and he'll share them with us. Be prepared to laugh. Learn more about this special Harvard Club event. As the dust clears in the admissions office, 17 students from southern Connecticut have emerged as potential members of the Class of 2023. 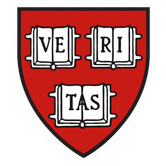 Harvard received 43,330 applications and offered admission to 1,950 students. As for our club, our small army of dedicated alumni interviewers met and submitted reports on 324 students. Accepted students have until May 1 to make their decision. You can read the admissions recap in the Harvard Gazette. Do you want to meet them? Plan to attend the Annual Dinner at Choate on Thursday, June 6. Details will be coming soon. How Can You Help? Help Us Interview the Class of 2024. You can help us meet and interview outstanding young people. There is no bigger moment in a high school student's career than their college admission. As an interviewer, you have the honor and pleasure of getting to know the future of Harvard and to play a critical role in their college decisions. At the same time, you are one of Harvard's ambassadors in southern Connecticut. The opportunity to interview students is a unique privilege of Harvard degree recipients and we hope you will take advantage of it. Learn more about interviewing and join our team for the 2019-20 school year. It's Membership Time. Join or Renew Today. Click here to learn more about HarvardKey and then claim yours today. Enjoy a guided bird walk at the peak of migration season!